Wine is a liquid commodity. Today, on the shelves of shopping malls, the first thing that catches people’s eyes is the wine packaging. Wine box packaging plays a very important role in the sales of wine, especially for attracting consumers, increasing the added value of products, satisfying the spiritual needs of consumers, and consolidating the role of brand and corporate image, which is increasingly recognized by people. At present, in the choice of wine packaging materials, paper containers (carton, paper tube) still occupy the main position, the proportion of leather, wood, plastic, metal materials has increased than before, bamboo, willow, grass and other natural materials Still less used. 1. Liquor wine box packaging: carton, cardboard (design), wooden box packaging, etc. Material: PU, PVC leather, etc. Material: cardboard, cardboard, corrugated paper, etc. For some high-end red wines and wood as the outer packaging material, it shows its natural and cultural temperament. For example, Cao County Best Art Wood Co., Ltd. is based on the wine culture with a strong rural character when designing the wine box. In the wine packaging design, a large amount of wood material is used to make red wine box packaging, and in the red wine The straw is added to the inner box to set off the red wine bottle of frosted material. The rich rural culture features of the red wine are reflected. The harmony of wine packaging design and wine culture is achieved. b. For a slightly higher grade, use 300 grams of white paperboard to paste the paper into a paper card for reprinting, filming and die cutting. The printed surface is usually coated with aluminum foil paper jams (commonly known as gold cards, silver cards, copper cards, etc.) of about 250 grams to about 300 grams, and the paper is pasted into a cardboard paper, and the film is printed and then die-cut. Most of the cardboard with a thickness of 3mm-6mm is attached to the outer decorative surface by hand. In particular, in the paper containers of domestic wine boxes, corrugated boxes, E-shaped corrugated boxes, and micro corrugated cardboard are used very little, which is in sharp contrast with the international. Personally, it is considered that the promotion and promotion are not enough, and it is limited by many reasons such as traditional habits and production conditions of domestic processing manufacturers. 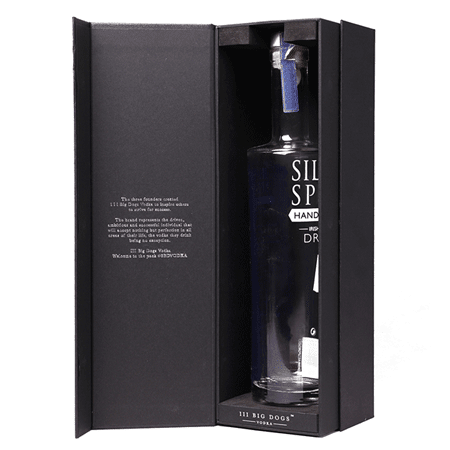 In addition, the packaging of wine boxes has also appeared in other forms of packaging such as wood packaging, metal packaging, etc., but paper materials and paper wine boxes are still the mainstream, and the development direction, and will be further expanded. Because the carton is light, it has excellent processing and printing performance, and it is convenient to handle and does not pollute the environment. In particular, there are many varieties of paper and paperboard, and it can meet the requirements of designers. In China, it is particularly important to emphasize that not only the outer casing of the wine box is made of paper material, but also the internal structural cushioning material should promote the paper structure. E-type corrugated cardboard, micro corrugated cardboard, and pulp molding paper should be strongly advocated in the packaging of wine boxes. Miniature corrugated cardboard, beautiful appearance, good cushioning performance, suitable for printing. When designing, the packaging shell and the inner part can be unified into one material, and many can be formed into one plate, which saves cost and saves space. In recent years, red wine wine boxes are more and more representative of the development trend of wine boxes. Red wine is an imported product, and the requirements for packaging are very high. Therefore, the wine wine box market came into being. The common red wine wine boxes on the market have wooden ones. And leather, wood is generally used for low-end red wine, leather for high-end red wine. The number of wine brands is increasing. How to occupy the wine sales market has become the primary issue for all wine producers. A beautiful wine packaging box can greatly increase the sales volume of red wine, which is conducive to the better occupation of the market by the wine brand. In terms of how to make your own wine packaging more visually impactful to achieve sales, this is a question that has been considered by Huamu Packaging. 1. The design of the wine packaging box: not limited to the traditional rectangular parallelepiped, but also the drum type, and only the tote bag. Due to the limited load-bearing capacity of paper products, they are mostly used for single-piece, double-packed and three-packed, but more bottles are only made of wood. Color is also based on simplicity, and classic colors such as red, black and gold are used repeatedly. One is dark-colored, with deep black, dark red, brown, with bright color printed LOGO and other advertising icon statements. 2. 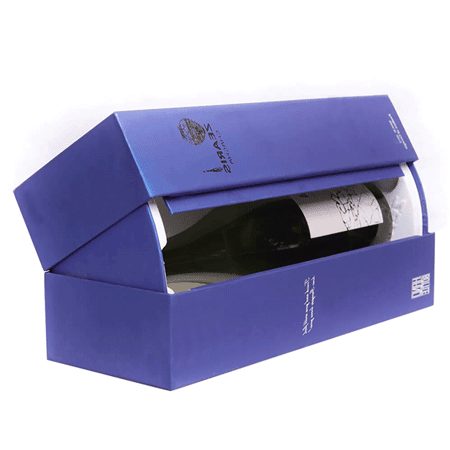 Selection of wine packaging boxes: PET sheets are considered to be an ideal packaging material for (ROSH) environmental protection requirements. 3. Choose long-term stable wine box suppliers: When the traditional festivals such as Mid-Autumn Festival and Spring Festival are coming, there is a stable wine box supplier, which can better guarantee the development of wine sales. Such as: Bai Nian packaging. 4, custom have their own company logo wine packaging accessories, brand.